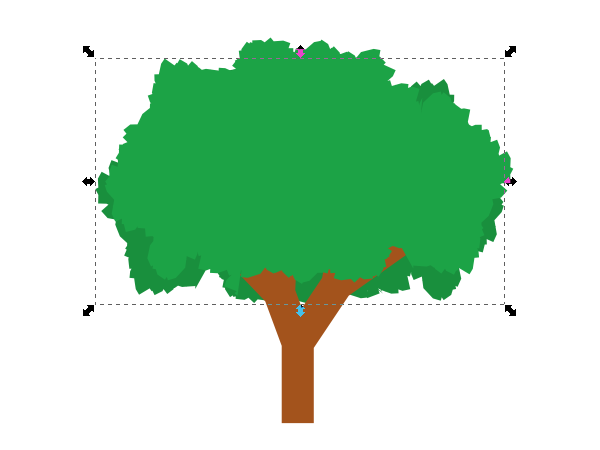 Just when you think Inkscape has a tool for everything, you come across a tool that literally builds a tree from scratch. Let’s take a look at this awesome extension. 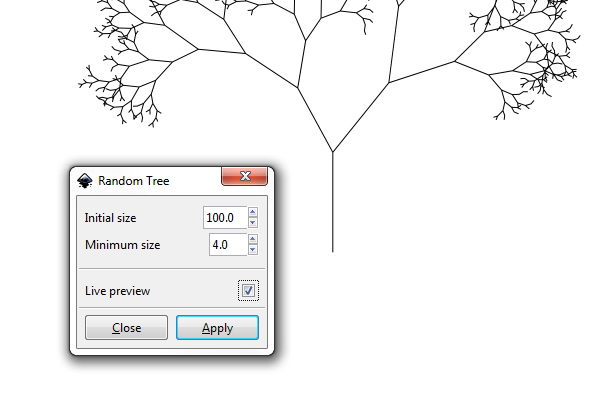 You’ll find this feature in Extensions > Render > Random Tree. Go ahead and select that and you’ll see a dialog box like the one below. The only two settings are Initial size and Minimum size. I set those to 100 and 4 respectively. Since these are completely random, I kept checking and unchecking Live preview until I got a tree I was happy with. Here’s the totally random tree I ended up using. Looks cool already, doesn’t it? Now we’re going to add a big Stroke of about 40px to give it a leaf-like look. Make sure the Join is set to Miter to keep it nice and jagged. And of course, I gave it a nice green Stroke color as well. Since there’s so much detail here, it’s probably running pretty slow. Make sure you select your tree and head up to Path > Stroke to Path. This will convert this into a much more simple shape. Now we need to chop some wood! 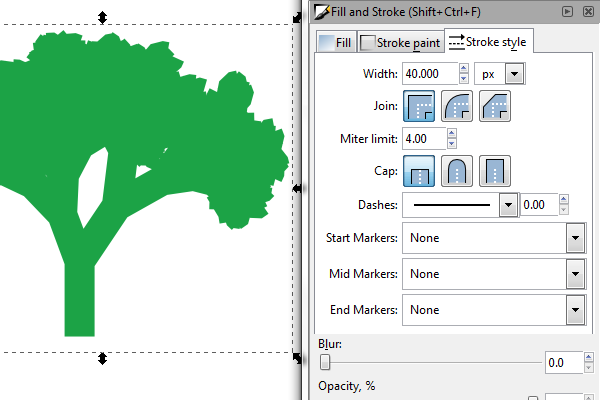 Just grab the Pen tool and draw a shape that we’ll use to roughly separate the leaves from the trunk. 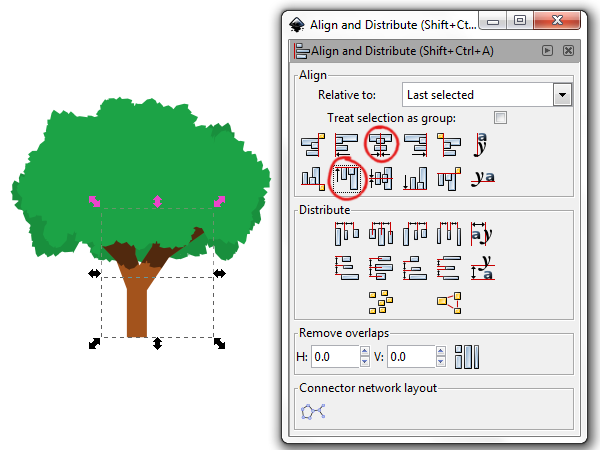 Select both the tree and the shape you just drew and use Path > Division. 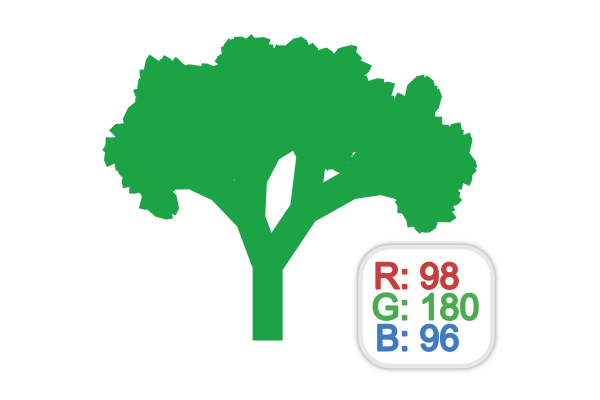 You should end up with something that looks like the tree below. Go ahead and give that trunk a brown color. Unfortunately, that leaves our leaves looking particularly bad on the bottom. To fix this, let’s just copy and paste the leaf bunch and flip it vertically. Then you’ll need to tinker with positioning a bit to get it to look just right. After all, your tree will look entirely different from mine. 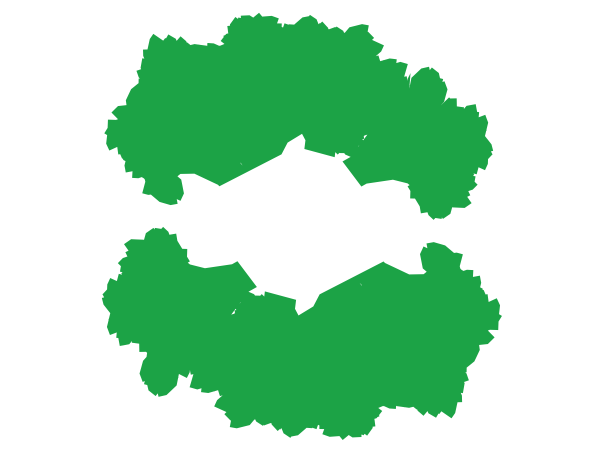 Optionally, you can select both leaf objects and do a Path > Union to merge them. 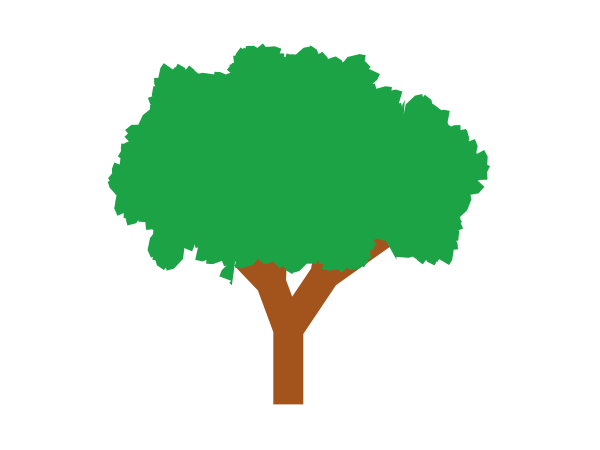 Then, I copied the entire tree top and flipped it horizontally, shrunk it, rotated a bit, and gave it a slightly darker green color. You’ll see below that it adds some depth. For even more depth, I wanted to add a shadow to the tree trunk. 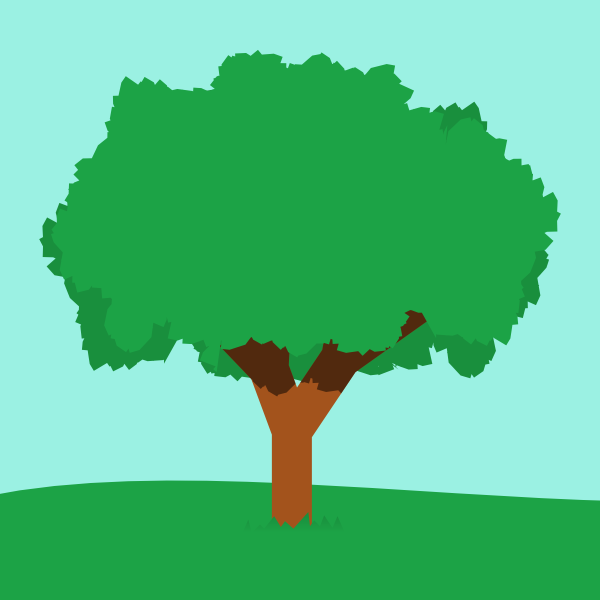 To do this, I copied the tree top and tree trunk and gave the tree top a black fill with a 50% opacity. Leave the tree trunk in position as we’ll be clipping it for a proper shadow. 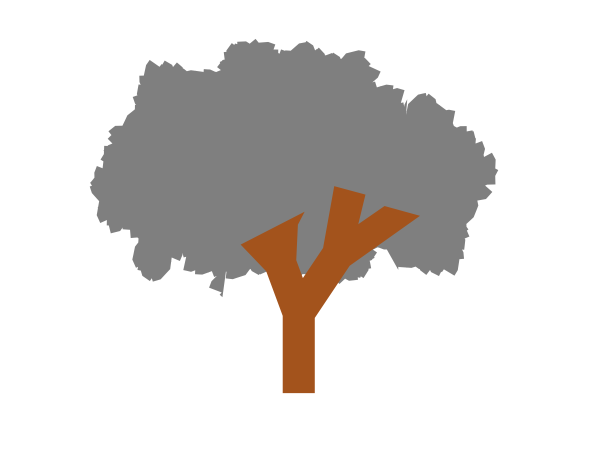 Now, make sure the tree trunk it on top of the shadow, select them both, and head up to Object > Clip > Set. You’ll end up with a small, perfectly cut shadow to place over your trunk. 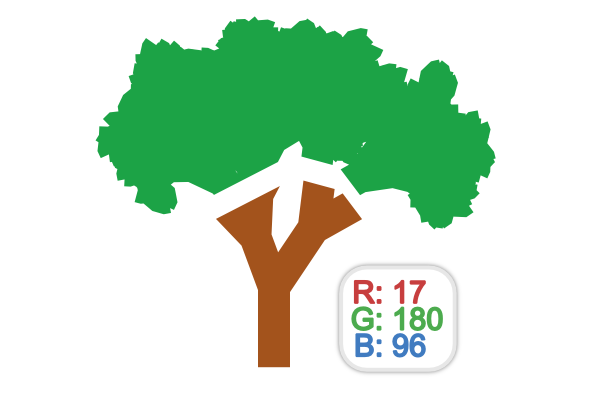 I used Align and Distribute to center it vertically, and to align to the top of the original tree trunk. Just to add some finishing touches, I added some ground and sky. Looks pretty darn good, doesn’t it? This is such a unique feature in Inkscape, I couldn’t resist sharing this. 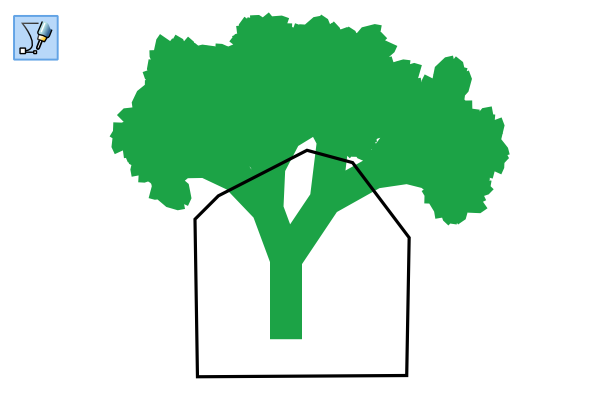 I’ve been using Inkscape for years and I just found this fun little gem – it truly does draw a great tree! 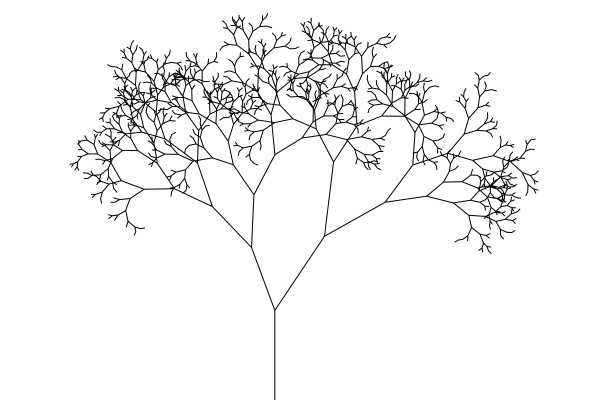 Go ahead and give this a try, because the possibilities of a randomly generated tree are endless. Thanks for reading!